Coming Soon MX4 Small Group Training Program! 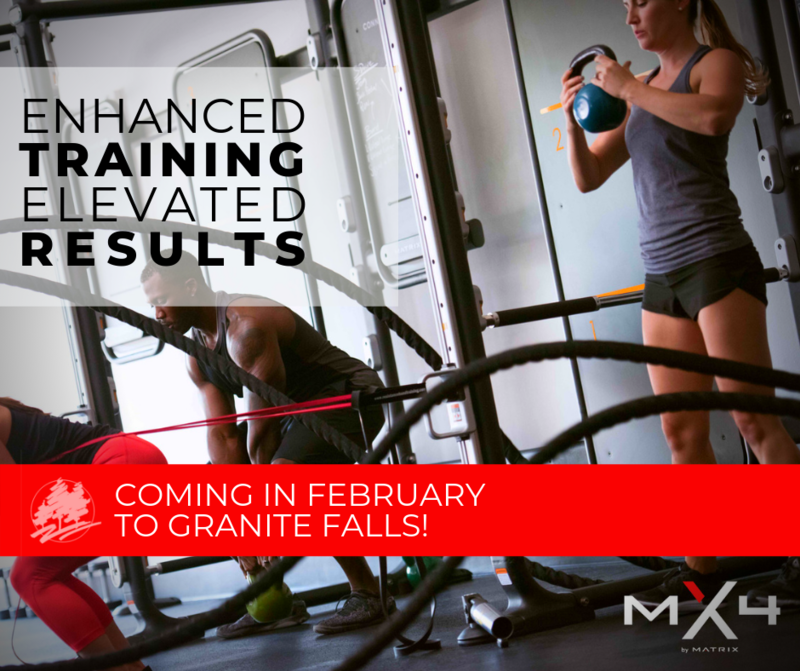 Granite Falls Club is excited about introducing the New MX4 Small Group Training Program! The new program promises an inspiring group environment to maximize results. The MX4 system features best-in-class training tools along with original workouts direct from Matrix Fitness. This new program will be appropriate for people of all fitness levels who want to improve their cardio, power, strength and endurance in a motivating environment that provides equal parts camaraderie and accountability. MX4 Small Group Training combines a variety of unique training tools including a functional training system with rebound walls, landmines, ropes, TRX, and more. There are even rowing machines added to these circuits to help everyone from beginners to elite athletes maximize their results. Diverse, progressive workouts keep sessions fresh and engaging while helping everyone improve every aspect of their fitness. Since each 30-minute session is limited to 8 – 10 participants, members can count on plenty of one-on-one time with a trainer who will help tailor the program and exercises to their individual ability levels and goals. Ultimately, this blend of equipment, programming and personnel will help participants take advantage of the benefits of a personal training service in a focused, group environment. Free MX4 Small Group Training sessions will be open for sign up beginning Monday, February 11th, with sessions expected to fill up quickly. 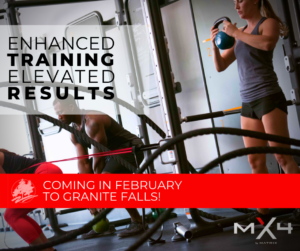 For more information and to find out how to sign up for an MX4 Small Group Training session, visit the Granite Falls website or inquire at the front desk. 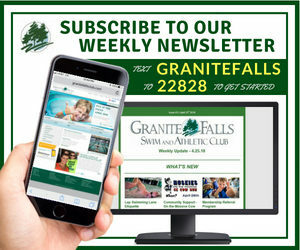 Granite Falls Swim and Athletic Club and the Granite Falls Fitness Department are committed to your wellness and we are implementing the newest, most cutting edge fitness programs and equipment to help you reach all your goals.